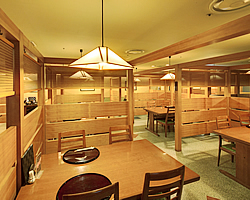 HANA-CHAYA is a Japanese restaurant with the theme of forests in the Hida region. 12 individual rooms are also available for you to enjoy a relaxing time with your family and friends. 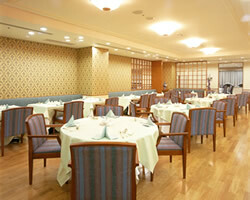 Enjoy Japanese multicourse Kaiseki with seasonal mountain vegetables in this restaurant with an impression of Hida. 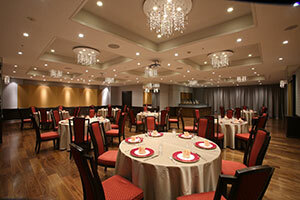 The restaurant serves authentic Chinese cuisine and an a la carte menu with both hot and cold foods. 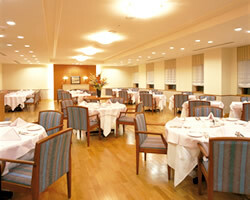 Individual rooms are available for groups and families. 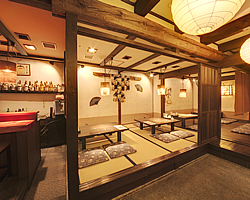 This Japanese-style bar offers local dishes with seasonal mountain vegetables and locally brewed sake. A room service menu is also available. Enjoy freshly-brewed coffee with homemade desserts and a variety of dishes. 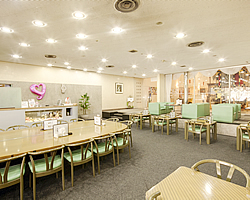 Relax and enjoy your meal in a bright and cheery atmosphere. 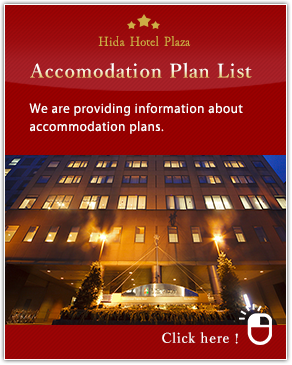 Reservations are not usually required, but please contact the hotel reception for availability. If you wish to have a fun-filled evening, we recommend our "All-You-Can-Drink Plan" at the price of 2,600 yen per person for 90 minutes. Karaoke machines with the latest songs are also available. 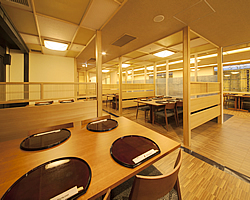 * The 2,500 yen plan includes the usage of a karaoke machine, all beverages (whiskeys, Shochu, soft drinks) and dry foods for a period of 90 minutes.